From surveillance missions at altitudes exceeding 35,000 feet to long-range targeted attacks, the U.S. military’s unmanned aerial vehicle (UAV), often referred to as a drone, is designed to overcome any obstacle. American military commanders are envisioning endless possibilities for drones and are now seeking to expand their areas of operation. Currently, a majority of the United States’ 7,500 drones are operated by Central Command in the Middle East, leaving other command centers without UAV capabilities. However, it is expected that the U.S. military’s Southern Command (SOUTHCOM) will see an extreme increase in its active military UAV fleets in Latin America. Latin American countries throughout the region have also begun to expand their own drone capabilities. The use of drones in Latin America is still in early stages of execution, yet despite these shortcomings, drones are expected to play an increasingly important role in Latin America in the coming years. 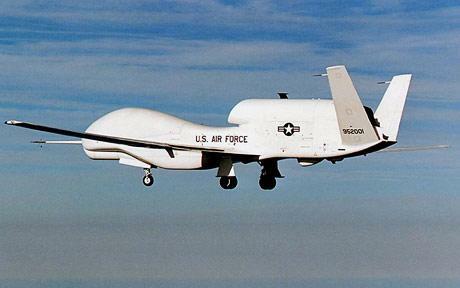 Currently, U.S. military drone capabilities are very limited in the Western hemisphere. One of the few areas where military drones are being actively used is along the U.S.-Mexican border in drug and illegal migrant interdictory operations. The Department of Homeland Security (DHS) has nine drones in operation along the border, which is not sufficient surveillance given the expansive boundary. With the consent of the Mexican government, the United States has also been launching drones in Mexico since 2009. In 2011, the Mexican National Security Council stated that they “have been particularly useful in achieving various objectives of combating crime.” However, at the present time, UAVs can only be used for surveillance in the Western Hemisphere, which has proven to be a limiting factor. 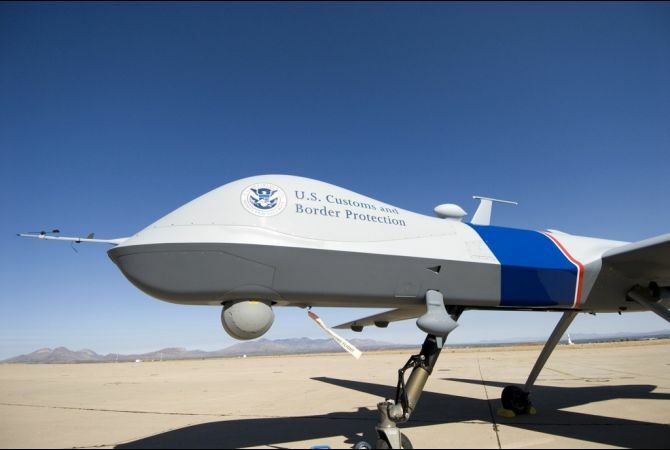 The UAVs currently operating over the U.S.-Mexican border have been inadequate. To date the drones have had an insignificant impact on border security. In 2011, UAVs assisted in the arrest of less than two percent of the undocumented immigrants detained on the U.S. southwestern border. In that same year, drones operated by the DHS helped find 7,600 pounds of marijuana valued at $19.3 million USD, compared to the 4.5 million pounds intercepted in 2011. Outside of Mexico, which falls under the jurisdiction of the U.S. Northern Command (NORTHCOM), there are no other active U.S. drone sites in Latin America. However, this may soon change as the DHS and SOUTHCOM hope to use the devices to help locate the narco-submarines that drug cartels widely use to smuggle illegal narcotics through the Caribbean. In preparation for the usage of UAVs in the region, SOUTHCOM has been quietly testing them in the Bahamas for the past 18 months, but to the military’s chagrin, the UAVs have produced disappointing results. During 1,260 hours of work in the Caribbean, drones only helped in a handful of prominent drug busts. These results are far less impressive when the operational costs are taken into account. Drones require hours of maintenance, cost $3,000 USD per flight hour, and demand dozens of staff to function properly. Moreover, alternative surveillance methods have produced more tangible, and cheaper, results. High operational costs, low success rates, and more efficient alternatives indicate a relatively weak outlook for the drone program in Latin America. Despite this, the United States military has been expanding their drone fleet in the Americas for two possible reasons. First, regardless of initial results, improvements in technology could lead to drones becoming extremely beneficial. Latin America’s extensive territory is largely unpatrolled because of insufficient capabilities, allowing many criminals to evade the law. The introduction of U.S. drones in Latin America could help locate criminals who have become experts at evading incarceration. Modern UAVs carry high-tech sensors and cameras that allow unprecedented surveillance capacities. This invaluable technology may prove useful in Latin America as drone operators could identify illegal activities throughout the vast expanses of territory. The second and more likely reason is that the military is looking for alternative ways to project U.S. power and influence in the region. Lately, the United States has been pushed out of the picture in Latin America, as made evident by the recent creation of the Community of Latin American and Caribbean States (CELAC), which includes all of the American nations except for the United States and Canada. The overall drop in U.S. military presence in the past three decades is another indicator of the decline in power that the United States is seeing in the region. American military commanders may come to see UAVs as a new way to restore American influence and power in the region. Drone utilization in Latin America would be a stark reminder of the U.S. interventionism seen after the Roosevelt Corollary, when the U.S. set forth to intervene militarily throughout the Americas. The United States is not the only country expanding its drone operations in Latin America. Countries all across Latin America are deploying unmanned aerial vehicles as high-tech solutions to a wide variety of problems, including drug trafficking, gang violence, illegal immigration, and other illicit activities. Currently Venezuela, Brazil, Mexico, Argentina, Ecuador, Chile, Colombia, and Uruguay all have have drone programs. Nearly all of these countries operate Israeli-made UAVs, although Venezuela has purportedly begun to develop and produce its own drones with the help of Iran. 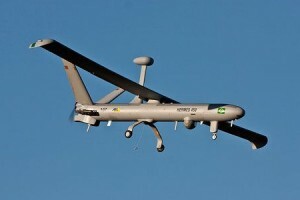 Brazil has also recently expanded its drone program and plans to purchase fourteen more Israeli-made Heron drones by 2014 for $395 million USD. Brazil currently operates UAVs to help patrol the 10,500-mile border that it shares with ten other nations. Ahead of the 2014 World Cup and 2016 Olympics in Rio de Janiero, Brazil has begun to deploy them over the city in hopes of pacifying the crime-ridden favelas. Unfortunately, this surge of Latin American drones has had several setbacks. In late 2009, Venezuela accused Colombia of sending American-made UAVs to spy on its airspace. Such incidents have led to requests for a code of conduct regarding Latin American UAVs, and although there have been some preliminary discussions, many nations have been hesitant to establish any specific rules. Johanna Medelson Forman, a Latin American specialist from Washington, says that the development of unmanned aerial vehicles in the Americas is a “maturation of Latin American defense systems.” However, she cautions that the potential for armed drones in Latin America could turn into a “double-edged sword.”  While drones could offer advances in security for Latin America, they could also lead to new conflicts. The aforementioned argument led to increased tensions between two countries whose relations were already stressed. Thankfully, outright conflict never broke out. 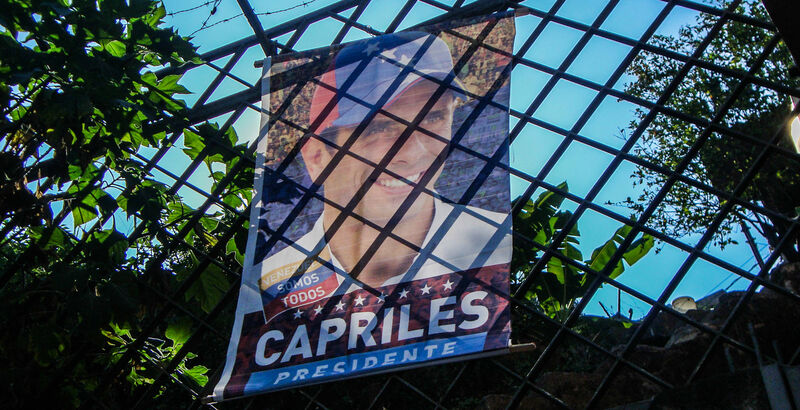 The dangers of drones have not yet been brought into the Latin American public eye. That being said, great precaution should be taken up by the South American defense community when handling unmanned aerial vehicles. For now, drones in Latin America are unarmed, but there is a distinct possibility that in the years to come the thirst for further militarization will change such an approach. Despite recent incidents and early unimpressive performances, this new technology has the ability to revolutionize military and police forces in the Americas and could very well lead to significant security advances in the region. However, Vanda Felbab-Brown, a Mexico expert at the Brookings Institution, cautions that these nations might become too dependent on drone usage and that UAVs should not replace traditional policing methods. Recently, she opined, “I don’t think [UAVs] have the potential at all to bring any crippling blow to any particular [criminal] organization.” Her point is understandable when one looks at UAVs operating on their own, but when this new technology is paired with manned aircrafts and units on the ground, the practicality of drones is apparent. Conventional police will still be needed to make arrests and get involved in firefights, but their job could be conducted much more efficiently and safely with constant aerial surveillance provided by UAVs. The operation of drones by Latin American nations has both an optimistic and uneasy future. Drones have the potential to be used in a variety of scenarios, from crime fighting to environmental protection, yet many fear they will create more problems than solutions. However, steps are already being taken to prevent interstate conflicts, and there seems to be some consensus among Latin American countries regarding where the future of drone regulation is headed. In recent years, the U.S. has lost much of its influence in the rest of the hemisphere. Drone expansion into Latin America could very well mean the beginning of a renewed interest in the region. SOUTHCOM’s planned drone program shows how Washington is seeking to expand its power to even more strategic regions of the world. In the upcoming years, drones can be expected to have an increased presence in Latin America. Their success will depend on how the drone programs will eventually be implemented and the degree of cooperation between the countries operating UAVs in the Americas.